This time we will highlight two web building platforms, which can boast a good reputation among website owners. These are Wix and Magento. Both systems possess a powerful feature set needed to launch and manage a functional online store. Likewise, each of them comes with individual distinctions and characteristics users should be aware of prior to making the final choice. Wix – is the most well-known website builder, the range of features, tools and options of which allows launching small and mid-sized online stores. The website builder works equally well for beginners as well as for proficient web developers engaged into the development of client-oriented projects. With Wix, you can create a full-featured web store without possessing the slightest design or coding skills. Magento – is one of the most popular eCommerce-oriented website builders. The system allows building websites that differ in complexity, web design approach, budget and other parameters. What’s more, mastering and managing Magento-based web stores is frequently a challenge for inexperienced web designers because of the complexity of the service. So, what website builder can offer more eCommerce features? Which of them will be the leader of the comparison? 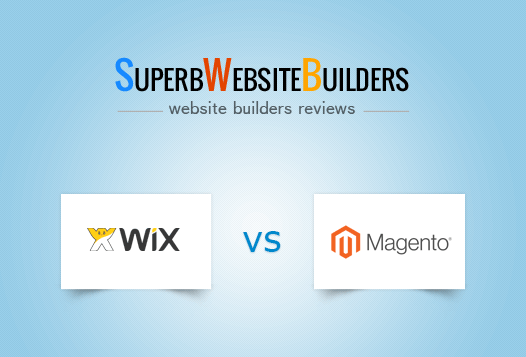 To answer these questions and define beneficial features of both systems, it makes sense to compare Magento vs Wix from the point of view of their major parameters. That’s exactly what we are going to do in the review. Let’s get ready for rumble! Wix. This is one of the simplest and the most user-friendly website builders, which was specially created for users, who have no idea of the web building nuances and programming knowledge. The system makes it possible to launch a website from scratch without the need to have any technical background, web development or coding experience. The dashboard of the system as well as its interface are logically-structured and feature intuitive browsing experience. The WYSIWYG editor along with the drag-and-drop feature allow controlling each step of the web design process by seeing the previously made changes. You can easily manage a web store with regard to your needs and the project goal, add and customize sections, widgets, extensions and other required elements. Theme editor comes with a set of tools needed to create a personalized web page and establish your brand identity and original style. Even if you have never created websites before, Wix won’t let you get lost. Magento. Unlike Wix, Magento can hardly boast the same level of user-friendliness. The platform has always seemed to be an obscure solution for users who do not have special editing or coding skills. The release of Magento 2.0 version has hardly put an ease on the building process. Once you need to add any new feature or edit a certain section, you will have to deal with HTML well as learn the basics of the Magento platform. Wix vs Magento. Wix looks like a better option for non-developers. It comes with simpler editing features and does not require technical skills. On the other hand, managing Magento will be a tough challenge even for users who have at least basic technical and designing experience. Wix. The website builder excels at functionality. eCommerce options are not an exception. The system comes with the integrated eCommerce engine, the use of which results in the creation of visually-appealing small-to-mid web stores with high end performance. When designing an online store with Wix, you can create multiple product lists with detailed descriptions and images. It’s also possible to subdivide them into categories and subcategories to ensure convenient and time-saving product search. Experienced web designers will appreciate an option to work in the Standard website editor. There is a chance to select the template that suits your business niche most of all and then manually customize it by using the tools available in the dashboard. This takes more time and effort, but this is the surefire way to create one-of-a-kind web store design that will differ from the rest. Users, who are just on their way to the improvement of their web design skills, will certainly like the idea to work with Wix ADI. This tool that automatically creates a website from scratch, using previously submitted business information. This is a much quicker option than using the standard Editor. What’s more, the website builder takes care of the convenience of website owners and visitors, who use the mobile version of an online store. 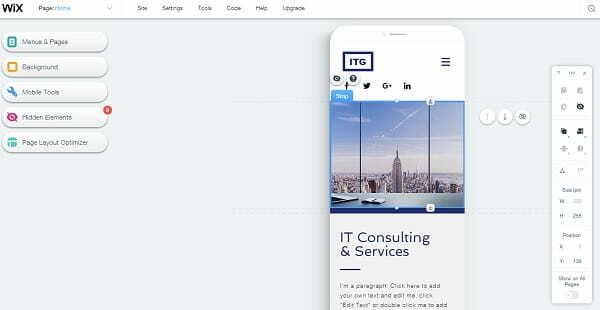 The Mobile Editor available in the system allows managing and updating the website on the go from any place, where there is Internet connection. Mind that the changes you make in the mobile mode are not reflected in the desktop version of your online store, while those you make in the desktop mode are automatically displayed in the mobile regime. Wix website builder is also worth the attention due to its App Market, where you can choose between free and paid eCommerce widgets, extensions and add-ons to be integrated into your eCommerce website. You can come across multiple options here, be it the Newsletter Signup Form, the Site Search Tool, the Form Builder, the Booking Field, the Customer Reviews Section or any other eCommerce-focused widget. The website builder also supports 17 payment options that include globally popular PayPal, Braintree, Stripe and other alternatives. Wix lets website owners easily handle promotions, ad campaigns and special events for potential customers. Web shop owners can activate coupon codes, sales and discounts to attract as many clients as possible. Magento. When it comes to Magento, adding extra features may be a challenge. As an open-source platform, the platform requires a deeper technical involvement. Once you choose this particular building tool, you can only count on your personal maintaining capabilities or hire a professional developer in order to add new features. Some may opt for Magento Connect and get necessary apps from there. However, each extension will drive you to higher costs. Once again, you need to have good coding skills to add new extensions. Every time you want to launch a new loyalty program or integrate and email marketing system, you will need to hire a professional developer. Wix vs Magento. Wix appears to be a simpler path when it comes to establishing a web shop from scratch at no efforts at all. Users get a template fully packed with extensions and features a small web-based store needs. Magento looks more complicated from the perspective of adding new applications and add-ons. Wix. The system offers a decent collection of mobile-ready eCommerce templates you can use to create small and medium online stores. Template quality is on a top level – they have professional and impressive look, which is understandable from the very first sight. Whatever theme you will go for, you can be 100% sure that your online store will catch the attention of the target audience, urging the desire to keep browsing through the product list. Each template lets you create and sell around 100-150 products with detailed descriptions and images for better customer attraction. There is also an opportunity to select a blank theme to design a web store from scratch on your own. 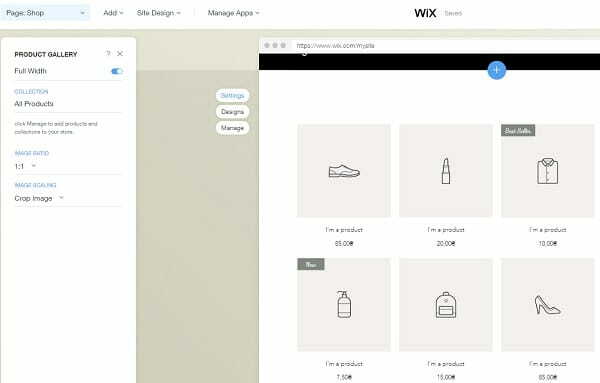 Ensuring simple and intuitive web browsing experience, Wix lets you select and integrate marketing apps and tools to create appealing product previews. The system comes with a collection of stock images as well as extensive photo galleries to give the website pages exquisite look. With advanced Parallax Scrolling feature and video integration option, your website will have more appealing and one-of-a-kind design. Magento. Magento templates boast a professional look featuring a list of properly-organized categories. Simply go to Magento Marketplace and choose a theme you like. The platform currently offers 13 ecommerce related themes. The platform also has responsive templates featuring animated design, scrolling effects, etc. Most of them look great but they are available as paid versions only. Wix vs Magento. 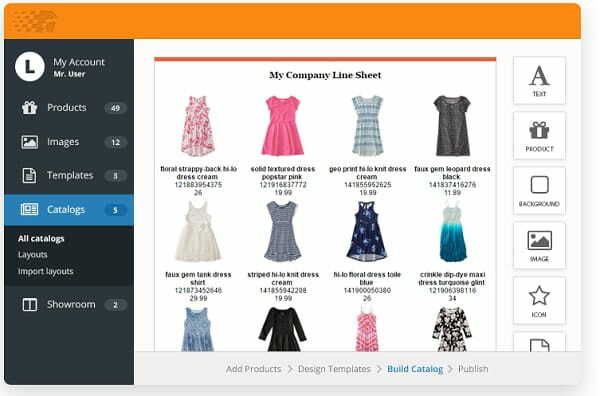 Wix collection of eCommerce templates is more extensive and feature-rich as compared to that offered by Magento. The website builder makes it possible to use flexible design customization tools, integration options and quality themes to create professional and full-featured eCommerce projects. Wix. Wix provides a full-scale free customer support to handle any issue. Users are welcome to contact the support team where they have questions related to Billing, Domains, Wix Store Settings, etc. Feel free to ask any question when getting started as well as apply for help when managing an already existing website. Wix guarantees immediate technical and other types of assistance. The interface of the service comes with multiple tips, cues and prompts on how to maximize the effect of working with the service. Whatever button you’ll wish to activate to complete a certain action, you’ll see the help icons over it to let your understand its implication. There is also access to the official forum of the platform, where you can come across multiple topics, branches and sections with articles, how-to guides, FAQs and other helpful sources of information. Magento. Magento looks more challenging when it comes to customer support. Although the platform has its own help center, it looks less helpful with only some baseline sections like How To or FAQ. Tough it still has a developers’ forum where you can search for necessary information or ask for advice, it will make the building process more time-consuming. Customer support is available only for Enterprise Edition subscribers, which is hardly a good news for small business owners. Magento vs Wix. Wix really seems to be extremely helpful for rookies who only get started with building their first online web shop. The platform boasts a rich help center with all fundamental issues highlighted. At the same time, you can contact Wix support team in case you cannot find the answer to the question or require urgent technical assistance. Magento support team looks less informative. Its help center includes some general statements, while live support is available for privileged customers only. Wix. Wix appears to be a more cost-effective solution if compared with other website builders, including Magento. The platform has a free everlasting plan that lets you test the entire feature set of the plan you are interested in. There is a separate eCommerce plan for online stores. Its cost currently constitutes $16.50/mo. The plan offers enough bandwidth and disk storage space to host, manage and update a full-featured eCommerce website. The system regularly offers discounts, which may sometimes constitute 50% or even more depending upon the occasion. These discounts and special offers mostly concern advanced plans, including the eCommerce subscription. Magento. Magento looks less beneficiary from cost-effective perspectives. It still offers a free plan. However, it comes with a limited set of functions that are not enough for building a debt online store. Users will still face the necessity to pay more for additional features and add-ons available on paid basis only. For example, a single Private Chat System will cost you $39 just to keep your clients aware. Is it worth that money? Surely bnot. Wix vs Magento. 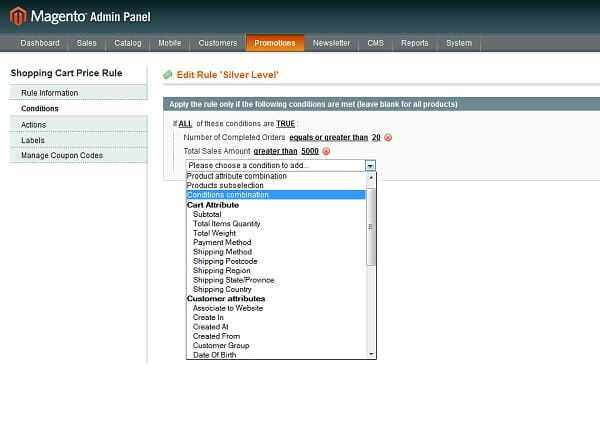 Although Magento CE is free, you will hardly be able to cope without extra costs. Every new plugin or extension you need to install requires extra bucks. Also, consider a monthly fee established by your hosting provider. Wix offers free hosting facilities in addition to dozens of free applications for your shop. Wix and Magento are website builders that can be used to reach the same objective – to create functional, feature rich and impressive online stores. Despite of the shared goal, the systems have quite different approaches to the process of website development, eCommerce features, design customization tools and complexity of mastering the system. While Wix is the all-in-one website builder with a powerful eCommerce engine, Magento is a specialized system known for its extensive feature set. Wixis a renowned website builder, which comes with extensive feature set, professional mobile-ready pre-designed templates, impressive customization tools and a separate plan for eCommerce projects. The system doesn’t imply the awareness of coding skills to let users create web stores packed with eCommerce advantages. That’s why, it deserves the attention of all web designers with no exception at all. Magento is a specialized cloud-based eCommerce platform, which is geared towards the creation of distinct digital retail experiences. The system is chock-full of advanced eCommerce and marketing options, granting access to powerful web design technologies and multiple customization options. Despite this fact, Magento is not quite easy to master for users, who have never been involved in website development before. This is a crucial challenge that frequently prevents users from giving preference to this website builder. Based on the results of the comparison, we’ve come to the conclusion that Wix still has much more to offer in terms of eCommerce website creation to users with diverse web design background and skills.